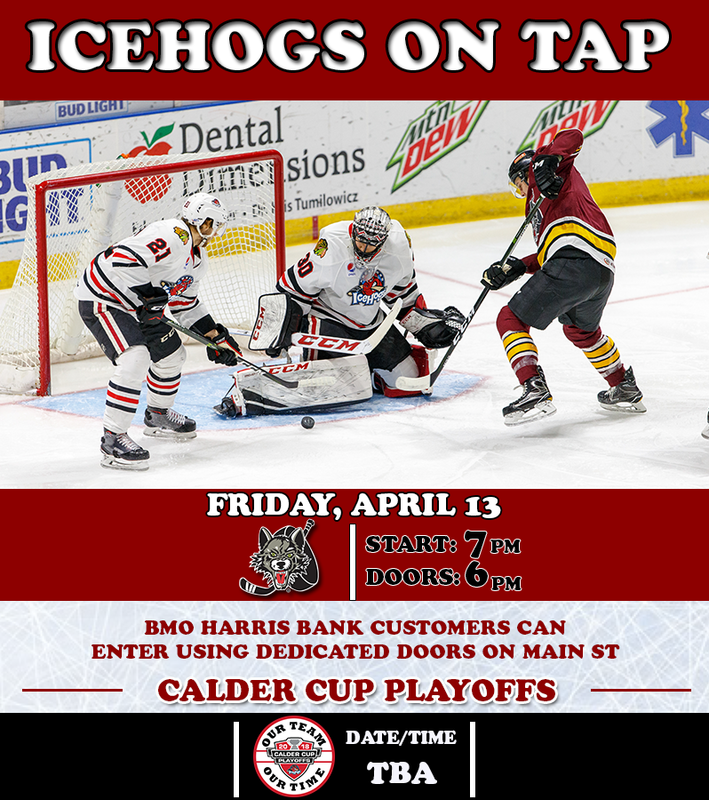 ROCKFORD, Ill. – The Rockford IceHogs will round out the home portion of the regular season with Fan Appreciation Night, presented by Schnucks, on Friday, April 13 against the Chicago Wolves. The first 2,500 fans at the BMO will receive a team photo, courtesy of American Solutions for Business, and scratch-off cards full of a variety of prizes, thanks to Schnucks. Team Photo Giveaway: Be one of the first 2,500 fans through the doors to receive a team photo of the 2017-18 IceHogs, courtesy of American Solutions for Business. Scratch-Off Cards: The first 2,500 fans in attendance will also receive cards that may contain prizes, courtesy of Schnuck’s. The cards can be scratched off to reveal an array of bounties, such as gift cards from local businesses, IceHogs merchandise and other rewards. Jerseys Off the Back: A select number of scratch-off cards will also give fans the chance to receive a game-worn white jersey of an IceHogs player following Friday’s game. Blues Flame Lounge Pregame Party (presented by Vintage @ 501): Fans ages 21 and older can kick-off the weekend with a Pregame Party at the Blues Flame Lounge (presented by Vintage @ 501), located on the BMO Harris Bank Center concourse. The event includes live music by Recently Paroled, and will also feature free appetizers and happy-hour specials.